What is the entry fee for teams? There is no charge for registering teams. All team members who register via the invitation of the team captain, pay the entry fee of 125 euros per person. Can I both ride a bike and run on the race day? Yes, you can. When you register as a participant you can specify that you want to both cycle and run. You will then receive two of the same starting numbers from us. One for the seat of your bike and one for your shirt, so that all your climbs are registered. A fundraising webpage: what is that? 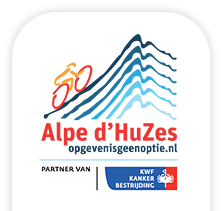 The personal fundraising page is to promote your participation in Alpe d'HuZes. You can tell your personal story: why are you participating? You can keep a blog and post photos. Your fundraising page is a tool to motivate sponsors and keep them informed of your progress. On this page, anyone can donate money directly to your fundraising page. This can be done via iDEAL or an invoice. iDEAL is preferred, because the money is then automatically and directly processed on your fundraising page. Invoices have to be manually linked to the pages after payment, which takes an average of 4 weeks. If you are a participant in a team, the team is provided with a general team page. The team can introduce itself there. Combined you’ll have the team page with the individual pages of the team members. The company logos of your personal sponsor(s) can be uploaded to your team’s fundraising page by the team captain. That way the logo 'runs' on your page, and on that of your team. Is a sports medical examination mandatory and what is the usefulness of it? Your health is your responsibility. A sports medical examination is not mandatory, but we strongly advise you to get one. For your body, a sports medical examination is like a periodic inspection for your vehicle: a check before you start putting serious strain on your body. A climb of the Alpe d'Huez is a heavy effort, especially if you do several climbs in one day. As the organiser of a sporting event, we want all participants to be able to return home healthy after the event. That's why we do everything we can to minimise the risks during the race day. We take care of traffic safety and a professional medical team comes into action quickly when medical help is needed. Take your responsibility and start the race week fit. 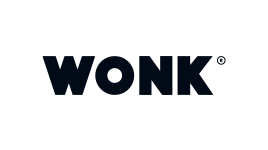 A donor donates money to the Alpe d'HuZes/KWF Fund via an action page of a team or participant, or directly to the fund. This can also be done, for example, via a donation box or a fundraising activity by a participant. All donations to the fund are entirely for the benefit of (scientific) cancer research. A sponsor supports (the organisation of) the Alpe d'HuZes event financially and/or in kind. In return, the sponsor can receive extra attention in various ways, depending on the amount of the financial support or the value of the benefits in kind. My donor accidentally paid twice. Can the excess amount be refunded? Yes, it can. Send us the payment details - the date of payment, the account number of the donor and the amount - and we will ensure that the amount paid is refunded. Please note that this may take a few weeks. How is the money of the Alpe d'HuZes/KWF Fund being spent? All donations go directly to the Alpe d'HuZes/KWF Fund, which is managed by ‘KWF Kankerbestrijding’ (Dutch Cancer Society). Since the foundation of Alpe d'HuZes, ‘KWF Kankerbestrijding’ has been responsible for the use of these proceeds. 100% of donations goes to cancer research. Here you can read which cancer research is financed by the Alpe d'HuZes/KWF Fund. Are people who work for Alpe d'HuZes being paid? No! Alpe d'HuZes is entirely run by volunteers. Everyone who works for Alpe d'HuZes, does so on a voluntary basis, for the full 100 %. From security guard or caterer to doctor or chairman. No one receives compensation for their work. This is mentioned in our statutes.